Rhonda Lindler has been serving the community of Union County as a real estate professional for 20 years. Born and raised in Union, she believes in putting you first, whether you are searching for the home of your dreams, or selling your current home in hopes for gaining a fresh start. Rhonda knows that a positive, stress-free experience, when either buying or selling, will allow you to enjoy beginning a new chapter in your life. Rhonda resides in Pea Ridge area with her daughter, Katelyn, and her beloved fur babies. She enjoys basking in the sunshine at Myrtle Beach, spending time with her family and friends, and adding to her shoe collection. She is a member of Philippi Baptist Church. Her manta “live in the sunshine, swim the sea, drink the wild air” reminds her to enjoy the little things, while making every moment count. Rhonda stands out amongst other real estate agents, not only because of her passion for the job, but because she understands that, as a client, your wants and needs matter. In her words, “I am not number one, YOU are!” She provides a hands-on approach to your experience by providing consistent communication and exceptional support. 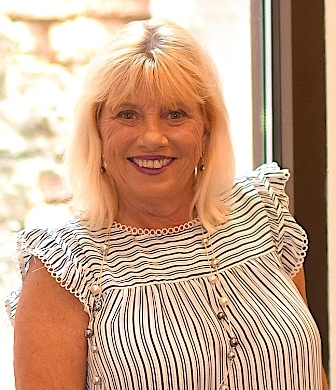 As a member of the Spartanburg Board of Realtors and the Spartanburg Multiple Listing Service, she is qualified to assist you with all of you real estate needs, wherever they may take you. Choosing Rhonda Lindler as your real estate professional will ensure that you receive the best guidance and assistance possible as you begin the journey of buying or selling a home. Contact her by phone, (864)-429-1420 or by email, linrho007@aol.com. She looks forward to taking your call.